In an era so filled with whiffs that it's pushing Nolan Ryan himself down all-time lists, pitching to contact still exists. 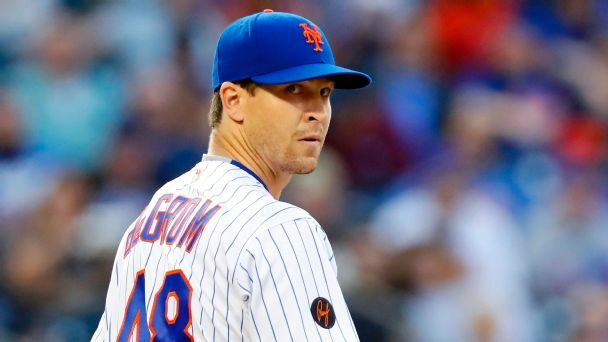 Olney: Could the Mets really deal Jacob deGrom to the Yankees? 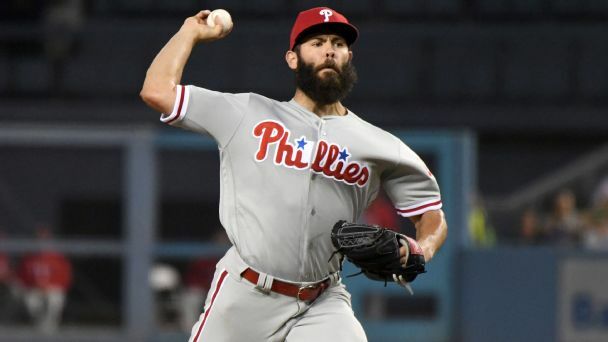 He would be the best pitcher available at the trade deadline, and the Mets must see where the best offer will come from -- even if it's the Bronx. 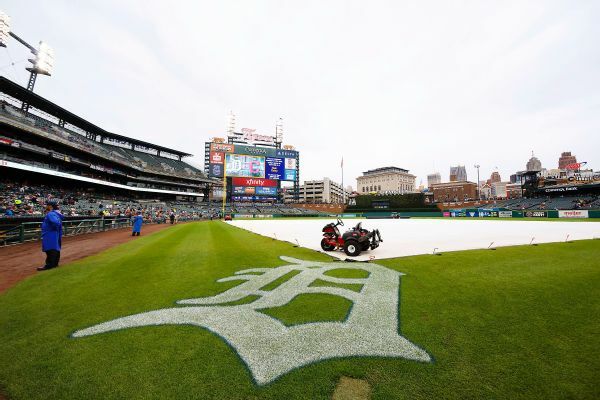 The Detroit Tigers and New York Yankees have been rained out Saturday, with bad weather threatening to wash away most of the Yankees' only scheduled visit to the Motor City this season. 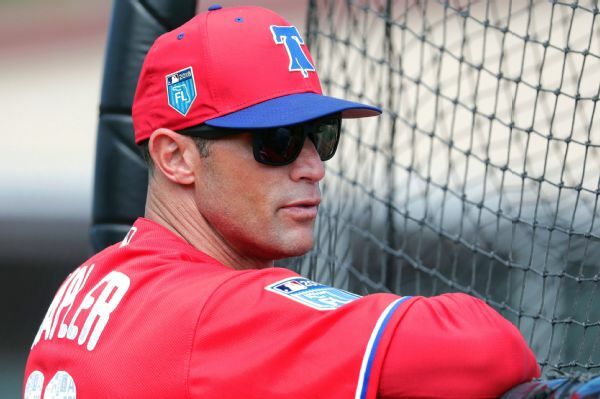 Three pitchers were ejected along with Philadelphia manager Gabe Kapler and bench coach Rob Thomson as three batters were hit by pitches during the Phillies' 6-2 spring training loss to Detroit on Thursday. 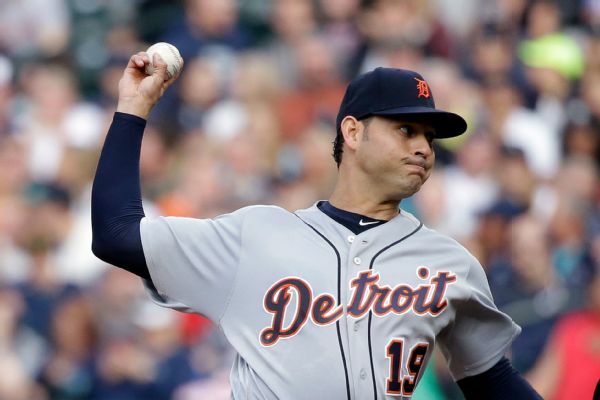 The Minnesota Twins have finalized their low-risk contract with right-hander Anibal Sanchez, securing another experienced candidate for their rotation. 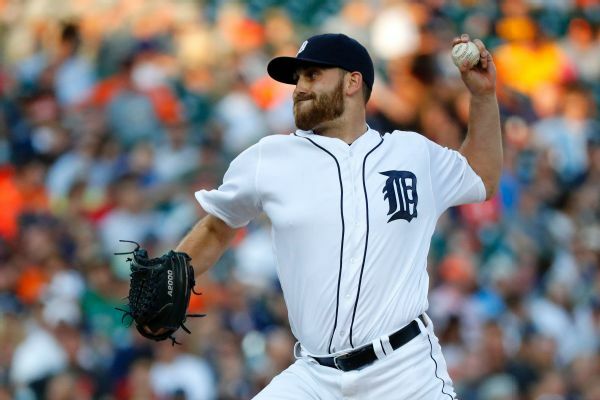 Brad Ausmus said it's not "rocket science" as to why Matthew Boyd and the Tigers' pitchers are struggling: "You've got to throw strikes and you've got to get outs." 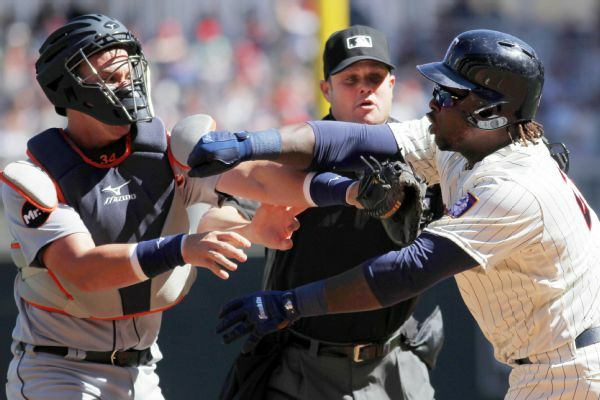 Minnesota's Miguel Sano will serve his one-game suspension for "aggressive actions" on Tuesday night after losing his appeal.